For Locksmiths Worthing that arrive quickly and complete work to the highest standards at competitive prices, look no further than locksmiths Worthing. No VAT or call out fee. From £33. Using industry-approved materials and covering everything from traditional Yale locks through to digital safes and biometric entry systems, ours is the only number you’ll need. We guarantee all our work for your peace of mind. Why not get in touch with locksmiths in Worthing today to discuss what we can do for you? You won’t be disappointed by our commitment to speedy attendance and customer service. 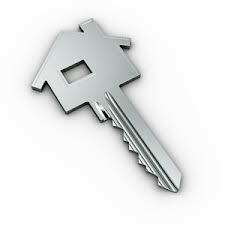 As experienced locksmiths in Worthing we won’t rest until we have provided a top locksmith service for our customers. No matter how big or small the job we put in 100% effort every time to complete top-quality projects. Our trained professional locksmiths place the customer at the heart of the service, going the extra mile to work at times to suit you and to source equipment tailored to your needs at the lowest prices. Whether it is the repairing of a lock or the installation of a sophisticated alarm system for your large factory, locksmiths Worthing will deliver a fantastic service every time. Locksmiths Worthing are kept at the top of the list for customers in Brighton because we can be relied upon to provide a great service. Nothing is too much trouble for your locksmiths in Worthing who work at all hours of the day and night to provide emergency access solutions for your homes, business premises and vehicles. Respecting your property as they would their own, our locksmiths will always attempt non-damaging methods of entry as the first choice in order to minimise disruption to your day. Efficient working methods mean that you can get the inconvenience of a lock-out out of your day quickly. What’s more, we guarantee arrival within one hour of your call and keep our prices the same at all hours.